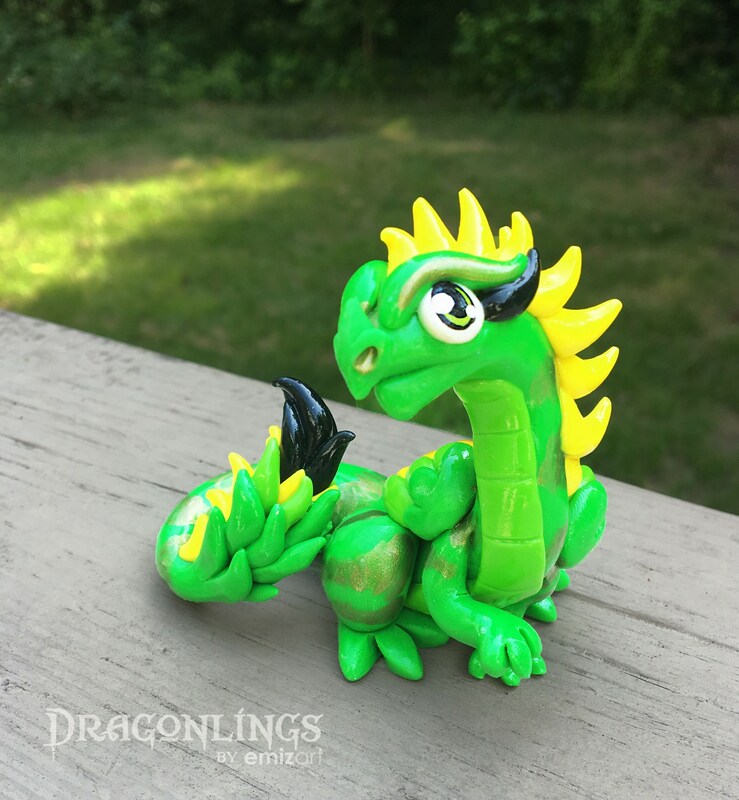 This sweet little feathery Dragonling was inspired by a lime green and yellow budgie! 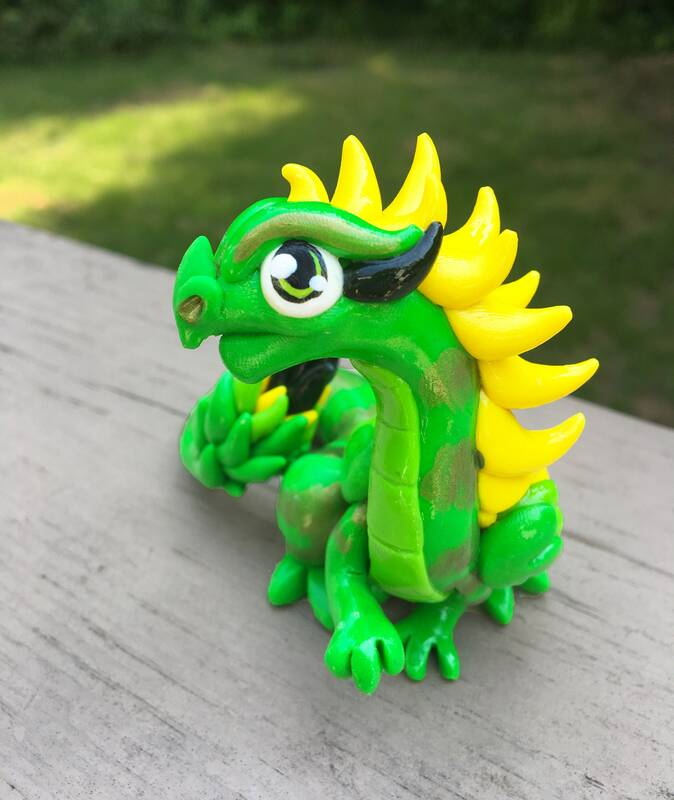 He features a floofed tail, feathered wings, a full fluffy mohawk, and some lovely peridot accent stripes. 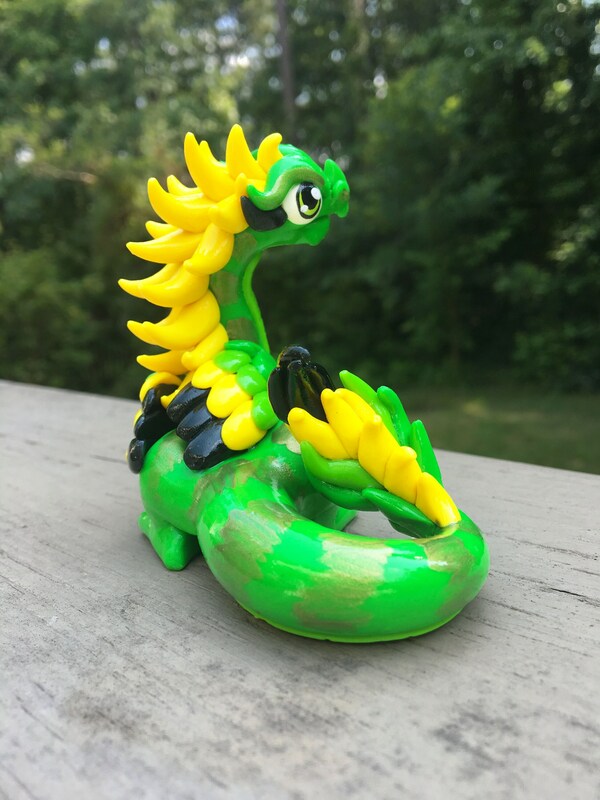 He's hand sculpted from polymer clay, and coated in a high-gloss acrylic varnish. 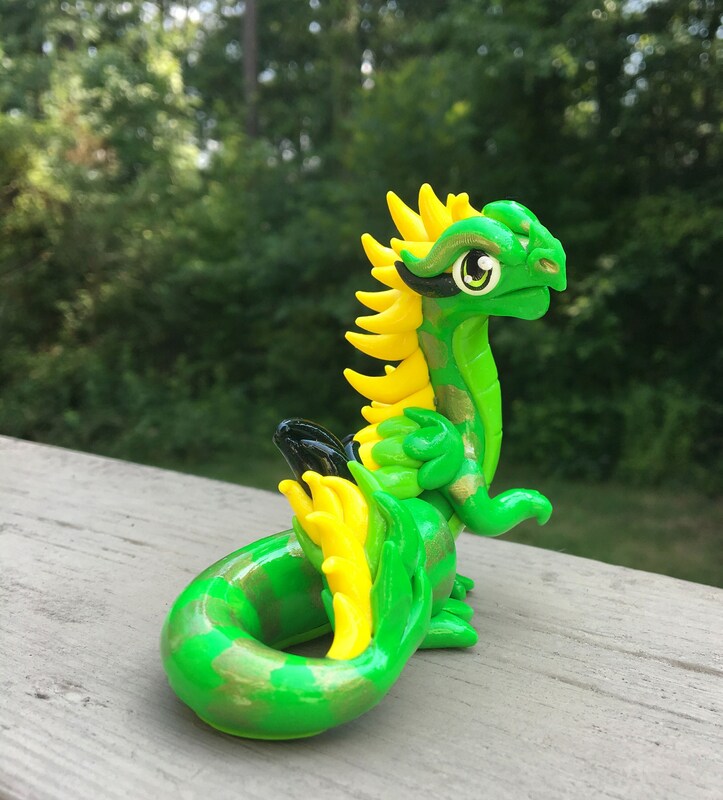 This piece stands approximately 3" tall and 2.5" from front to back. He comes stamped with the artist's mark.